The Green Girl won her second blog giveaway and would like to thank Stephanie Anne from Running to Health for the awesome Inperspire Towel. The towels come in 28 different designs and I loved that I was able to choose which one I wanted. 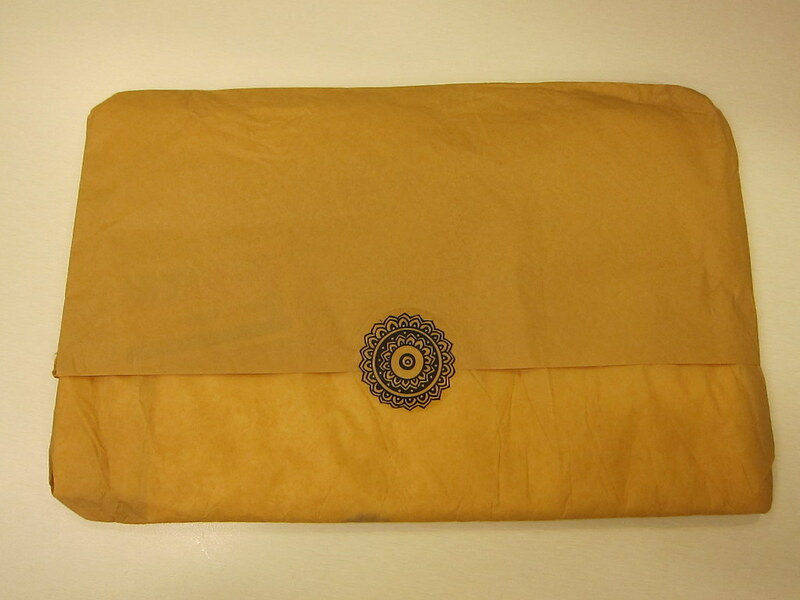 When my package arrived, the towel was wrapped in mustard colored tissue paper secured with an intricately decorated sticker. The towel is the perfect size for working out. It's large enough that I will be able to lay it down on the mat when I'm doing floor work but small enough that it's not too bulky to carry around the gym. 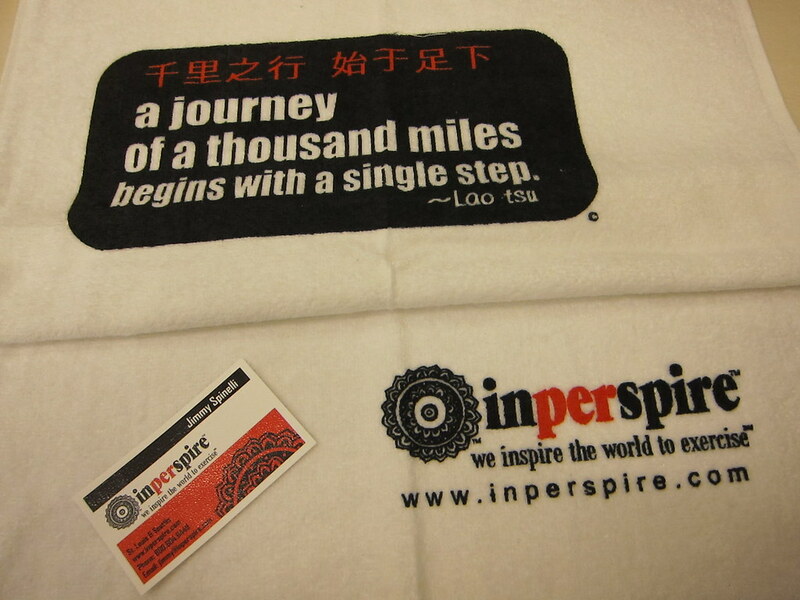 Thank you, Stephanie Anne and Inperspire, for giving me this amazing towel featuring my favorite quote in the whole world. That's a great towel to win. The quote is very special! I like the original quote better, because a journey actually starts before that first step. Super towel! Congrats and enjoy it. Inperspire does make great towels. I have one, too and I love it.